We would like to hear about your experience at Coastal Jeep Ram! Bought a used Renegade from Coastal after a name change. They’ve been diligent about making sure all of the paperwork is correct. Good staff, easy to work with and honest. I got a great deal. They're great. I come back very friendly. Coastal Jeep Ram gave me a perfect experience in buying my first car. Maurice, Isaac, and Wayne were kind, attentive, and patient; not once did I feel they prized making a sale over listening to my needs or concerns. All the stressful points I’ve heard about buying a new car were void here. They really work hard to create a relaxing, welcoming environment at their dealership. My wife and I have never been to a car dealership that was so friendly and kind. They weren't your usual "car salesman pushy" type. They listened to what we wanted and our price range was and stuck to it. The paperwork was fast and we weren't there long. We will send anyone who is looking for a new car their way. Thank you for making car buying so fun! The best dealership I have been to. The service is outstanding. Awesome dealership,extremely knowledgeable sales people.. I'm recommending to everyone I know, don't walk run and see Isaac Taylor at Coastal Jeep Ram! Issac is the best salesman. Wayne and Maurice are the sweetest men you’ll come across when looking for a new car. They’ll treat you right with the RIGHT PRICE. Very knowledgable car salesman!! You have to come see Isaac Taylor. Wayne Dazey is one of the nicest and most personable sales professionals I have ever had the pleasure of working with! He treated me like a real human being and made me feel like family. I definitely plan on bringing him and his team some presents for Christmas! Excellent car buying experience! Great dealership! Ask for Isaac Taylor! He's very courteous and professional! I can't say enough good things! Great place and great people! Wayne Dazey is an incredible guy! Laid back and easy going environment with amazing prices. Wouldn’t go anywhere else! People at this dealership definitely seemed professional and all seemed to be friendly for the most part. There are always proper procedures to follow and they all seem as though they knew what they were doing. Coastal Jeep Ram Dodge Chrysler Where Honesty, Integrity, Morals, and Family do Matter! Coastal is a way of Life. Relaxed and Easy. Just like our buying experience!! We appreciate you taking the time to visit our website! At Coastal Jeep Ram Dodge Chrysler, we take pride in being a Family-owned. Our family has been in this business for years, and take pride in delivering an easy buying experience. We look forward to being the Ram Jeep Dodge Chrysler store that serves, not only Quincy, but also our Tallahassee, Marianna, Panama City and South Georgia near by Neighbors with a trustworthy and hassle-free car buying experience. Discover class-leading performance, technology, and safety features by getting into a new vehicle now at Coastal Jeep Ram Dodge Chrysler has produced more turbocharged cars than any auto manufacturer before, many of which are available now to car shoppers in Tallahassee, Marianna, and Panama City. 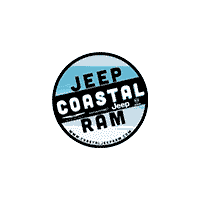 Coastal Jeep Ram wants to be know for its Lowest prices on New Ram Jeep Dodge Chrysler, but more importantly, for its Home Town Buying atmosphere. Coastal Jeep Ram will deliver you New Vehicle right to you house, and our online buying experience mimics our on lot experience by allowing you to buy your vehicle without ever coming into our lot. Let us deliver your New Ram Jeep Dodge Chrysler right to your home! At Coastal Jeep Ram Dodge Chrysler, we will not be undersold!